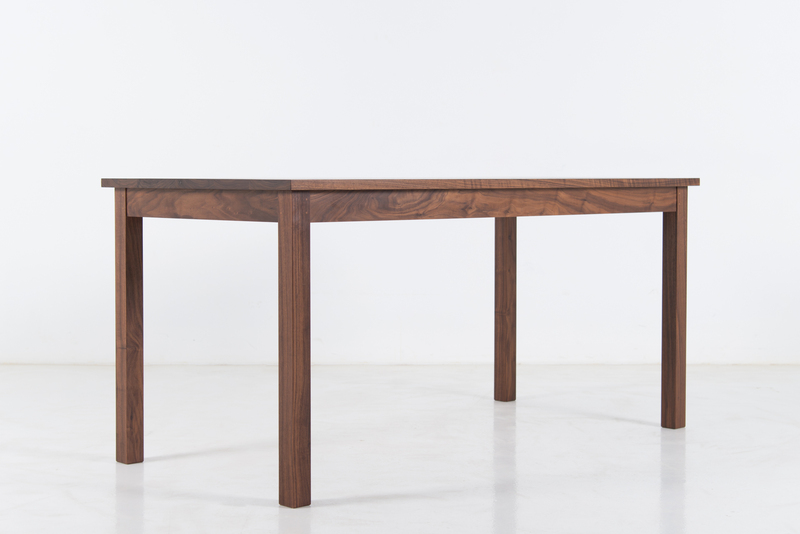 Combining basic utility with pure form, the Rectangular Table Desk serves equally well as a desk or table. It provides what’s necessary – and nothing more – reflecting our dedication to functionally driven objects. 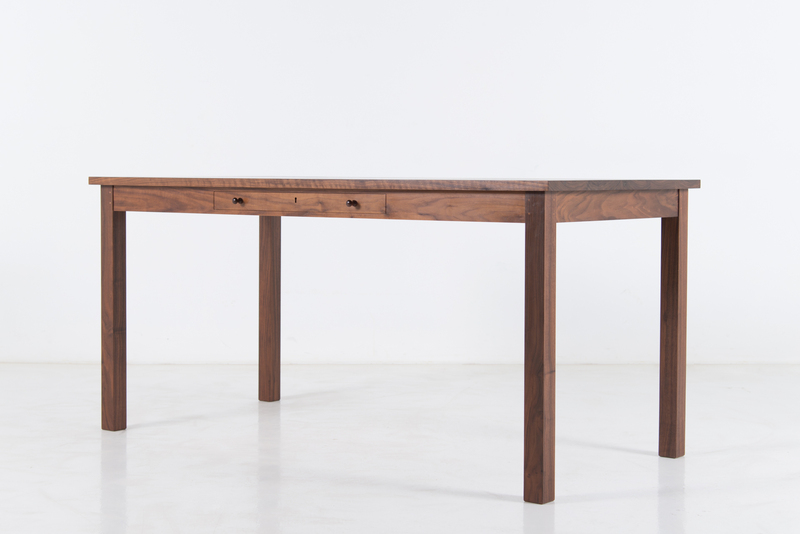 Named to reflect that simplicity, the table is just that: an angular form that serves its purpose with quiet power. Made from North American hardwoods, the Rectangular Dining Table eschews ornamentation to let its fabrication take center stage. 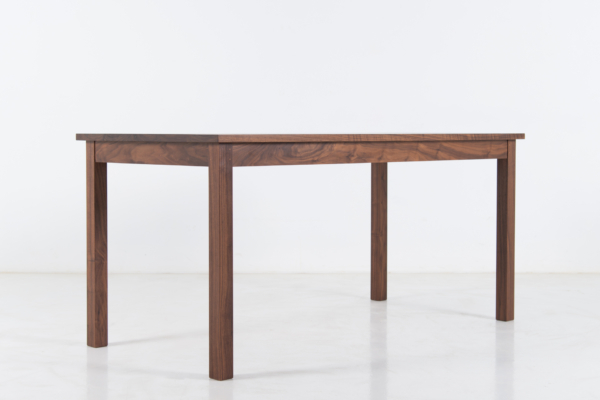 The durable hand finish reveals every inch of the wood’s natural grain – and serves a lifetime’s endeavors as well as an intimate mealtime gathering. 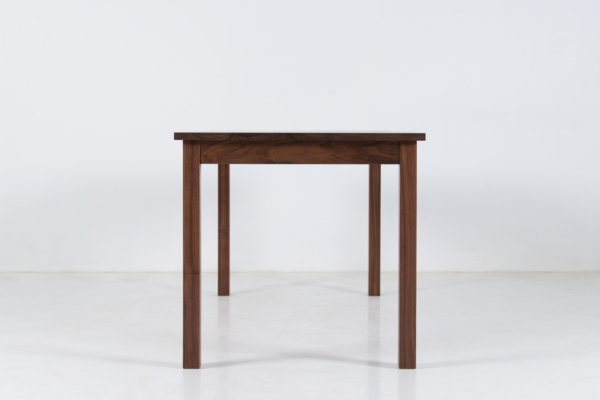 The Rectangular Table Desk is Shaker in its simplicity. 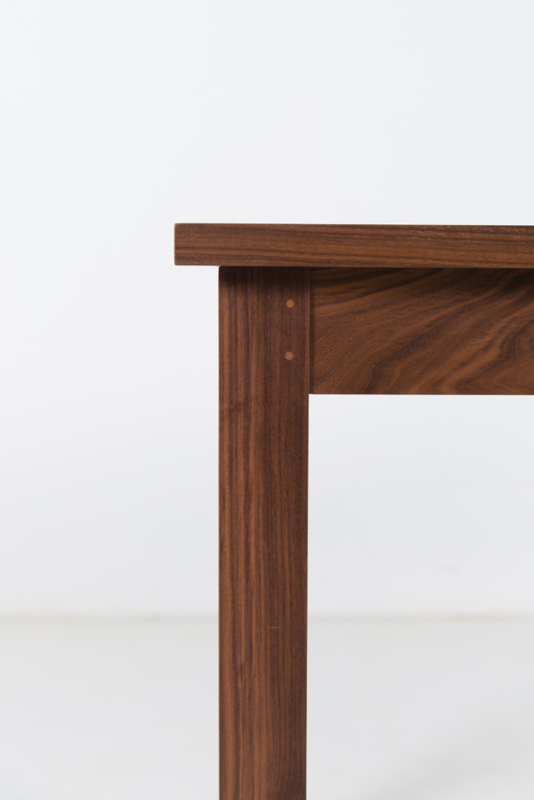 Crafted with four square legs that rise to meet a recessed, reinforcing skirt in time-tested tongue-in-groove joints, the absence of spreaders bespeaks the design’s strength. 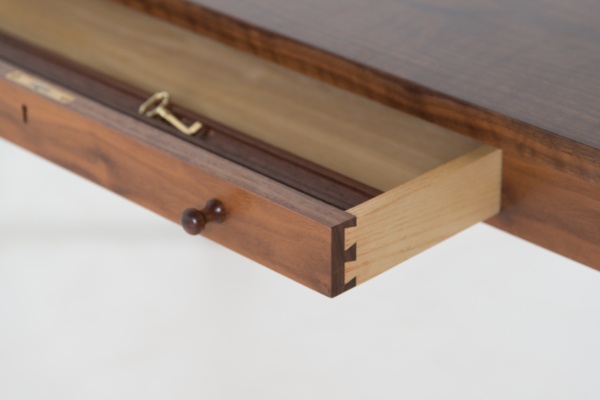 There is nothing beneath the table to interfere with comfort or storage. Like the legs, the tabletop is unapologetically linear. 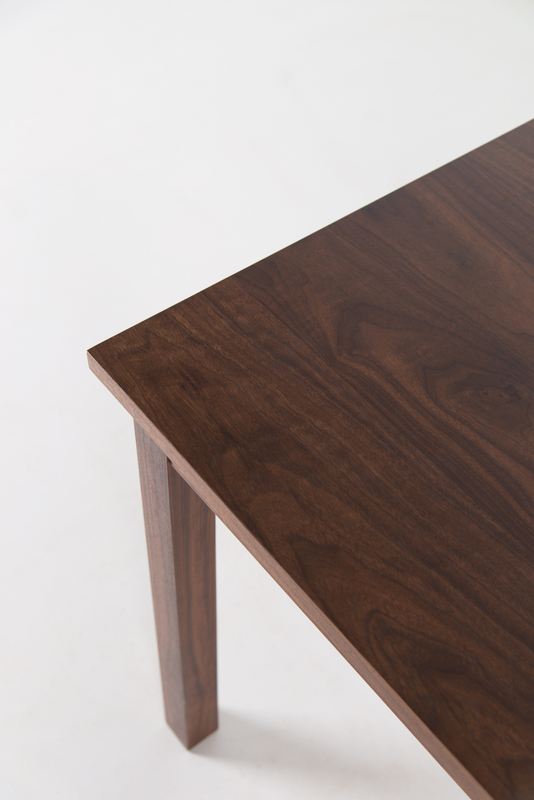 A perfect rectangle, the gently-finished surface is remarkably durable and unspeakably smooth. 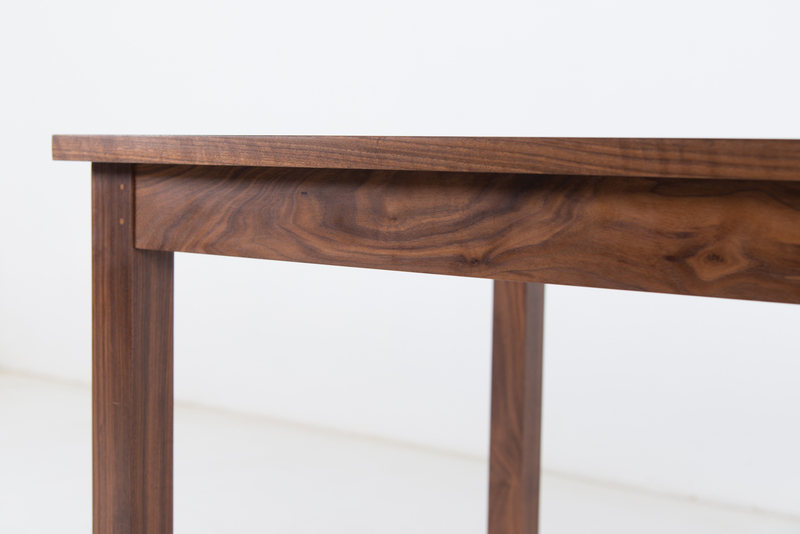 The beauty of the wood grain is on display – manifesting a work of art that is unique by nature. 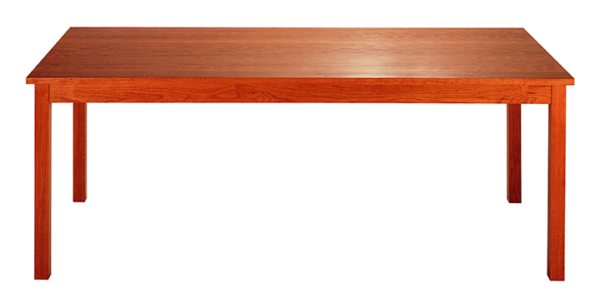 The Rectangular Dining Table integrates with the décor of most any office, living or dining space. 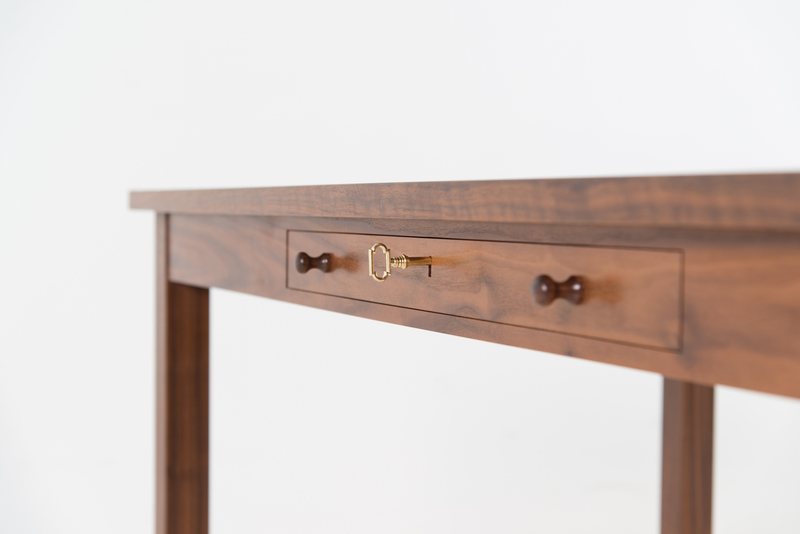 The airy desk allows light to play beneath its expanse and affords ample room to stow an office chair or four dining seats when not in use.